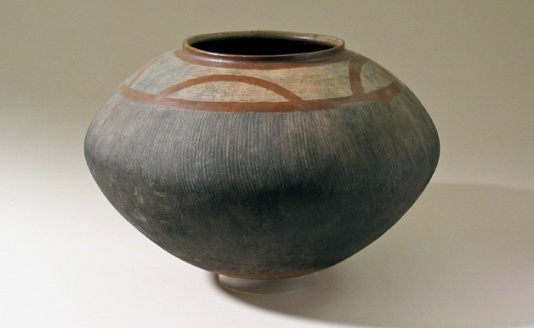 Pottery traces the very thread of existence of Africa’s inhabitants. 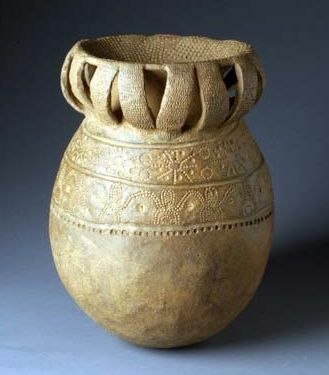 Pots are like data, they provide insight into the cultural interchanges of African societies; the life they led, the paths they trod, the needs they had and the skills they possessed. 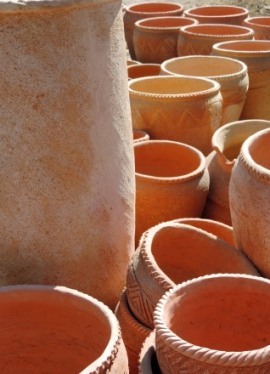 Shards of pottery found by archaeologists in ancient sites tell us that pots were being made as early as 7000 BC. 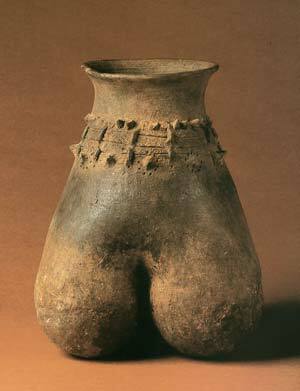 A noble reverence can be felt when looking at a beautifully formed vessel that has fulfilled its function perfectly for thousands of years. 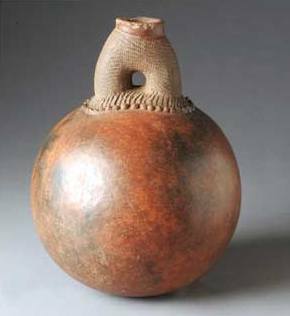 Simultaneously art and craft, African pots represent both conceptual ideas and practical utility. At once durable yet fragile, they have endured for centuries and through them, we can start to imagine the artists who shaped their form with their bare hands and crafted their features with crude tools. Pots were used in rural communities for carrying water, the mass storage of food and milk, cooking food, serving and drinking beer. 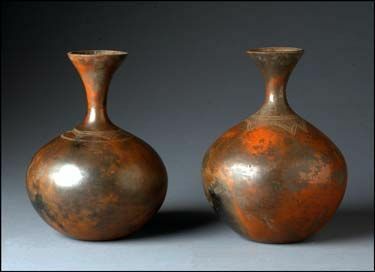 Built for an entirely functional use the vessels were easily and cheaply made as long as clay was locally available. 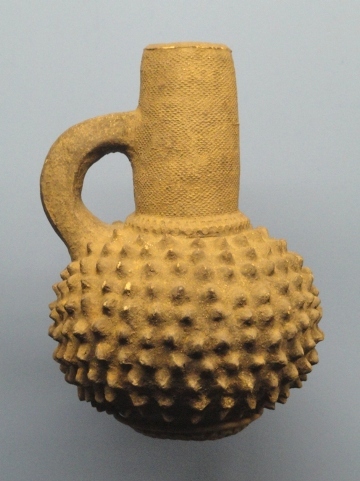 Their ideas around the creation of certain spiritual vessels were however not rudimentary and these ceramics were, and still can be, a potent aspect of ritual arts in Africa. 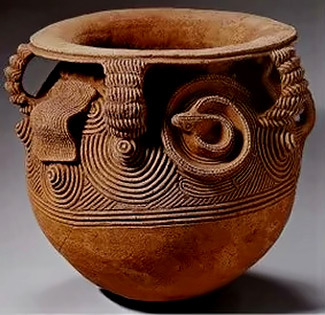 Sculpted vessels expressing surface design were vehicles for addressing the metaphysical needs of the community. They could be fashioned with representational spirit forms and manipulations, or incised with designs, scribbles and scouring. These pots were often kept in their own confined, custom built spaces where they were tended and consulted for ritualistic purposes. Some were deliberately broken during ritual ceremonies, while some have endured and been maintained for many generations. 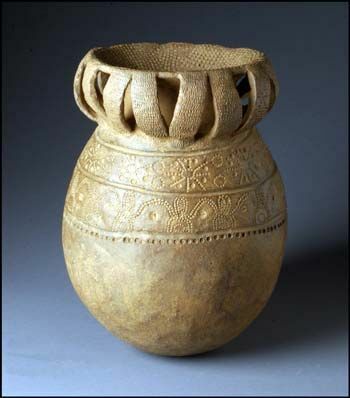 Currently, some traditions have been abandoned and the practice of making ritualistic vessels no longer exists in many communities. Making a pot starts with the mining and preparation of clay, then blending it with water until it reaches a malleable state. Temper or matter like ground sand, pebbles or old pottery, chopped dried grass and dung or crushed chaff from winnowing grains and rice is kneaded in to the clay to decrease the shrinkage that occurs during the drying and firing processes. These tempers are added in various amounts but rarely go over 50%. 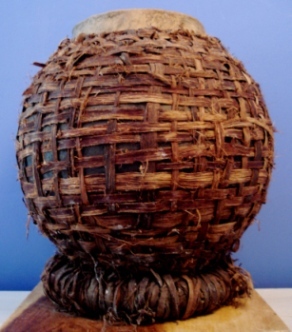 Pots are generally coiled around a flattened base and then molded and smoothed into shape. 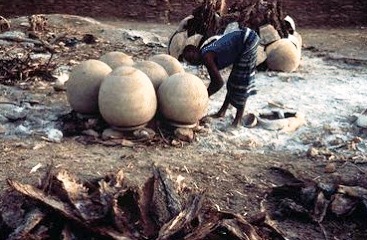 Sometimes an actual mold of pottery, wood or a calabash is used. Once the desired form is achieved they are left to be sundried before being wood fired for the first time for at least 4 hours at a low temperature. 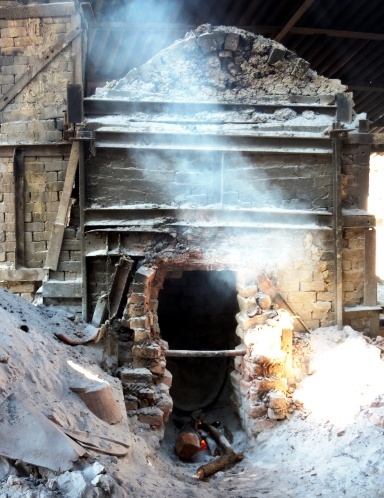 This can be done over an open fire or in more established communities they will have pits or kilns to do the job. In drought areas, acquiring wood for this task presents a real challenge and dried cow dung can be supplemented. Low, circular brick walls with air holes at the base surround a thick layer of fuel on to which the pots are placed. Extra fuel is strewn between the pots. 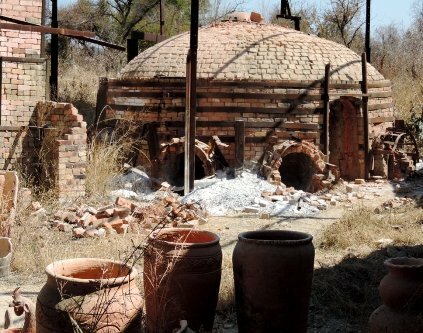 The kiln is then lit from the bottom and old, broken pottery is placed on top to retain heat. 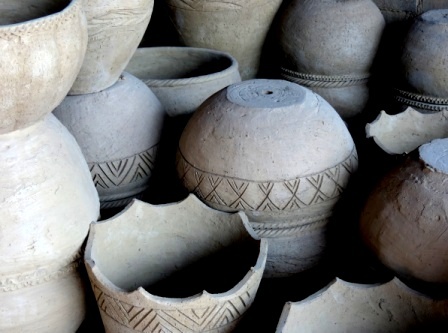 Decoration of vessels happens once the pot has completely dried. 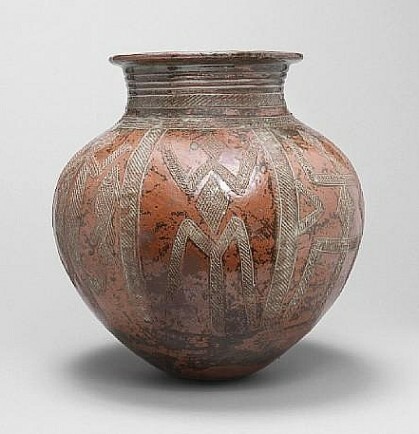 The potter can choose between adding extra shapes (like human or animal figures and geometric or abstract forms) to the surface or incising motifs like zigzags or cross hatchings with a sharp blade or combs. Handles or lids can be molded and attached to adorn the pots or textural patterns can be impressed with roulette. Most of this embellishment is done before firing and will generally be more permanent, enduring extensive use. Post-firing embellishment, (mostly colouring or splashing with natural dye slip made from ochre or chalk), will tend to be less long lasting. Pots can be brushed with a liquid made of leaves, aloe or tree bark which give them a shiny surface. Polishing pots is one of the principal forms of decoration and a deep, burnished effect can be achieved by rubbing the surface with animal fat, soot and a pebble and then re-fired to achieve a deep glossy finish. Graphite can also be rubbed onto the exterior. Grass is sometimes woven around the pots for decoration or to give extra strength and longer storage life. 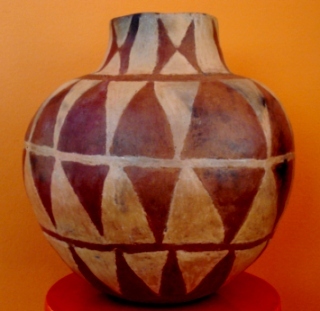 Pottery is a craft that survives in various communities in Africa. 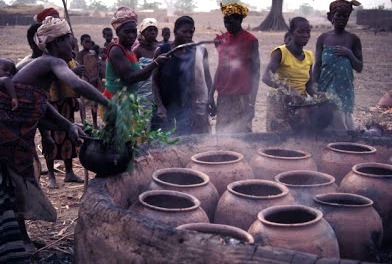 Pots are still used for transporting either water or beer and are produced with adherence to traditional methods. Conversely, the tradition of making pots is not always perceived as something that has value, something that is worth holding on to especially in this new world of plastics and tin. For the carrier, earthenware is both fragile and weighty and is not always the preferred option when a container is required to serve a utilitarian purpose. 1. 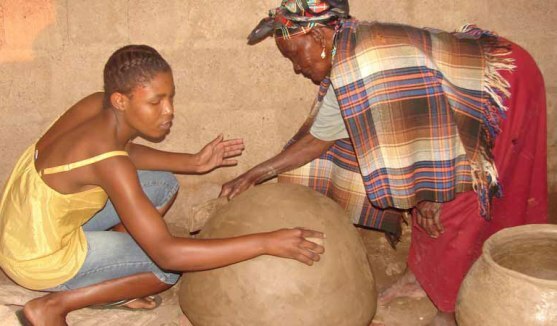 First-world countries who are involved in self-sustaining programs in Africa often focus upon the importance of keeping traditional skills alive and communities exhibiting expertise are targeted for advancement and assistance. The elders are encouraged to pass on their skills to the younger members. 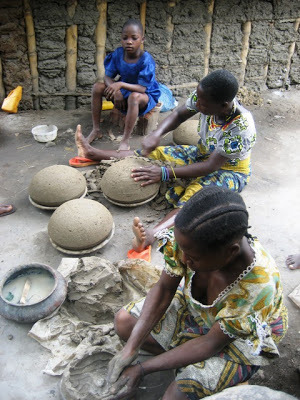 Workshops are set up and potters given financial and commercial support to get their product to a tourist market or directed to produce a high quality product that has special qualities and may achieve a high return for their endeavors. 2. Individual artists produce studio items that are very collectible. You can now find earthenware craft in art galleries as well as in museums and private collections. 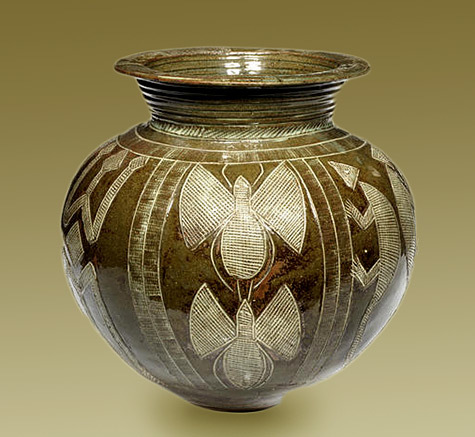 One such craftswoman was Ladi Kwali of Nigeria, born in 1925, died in 1984. She was one of the first potters to achieve international recognition for her notable handicraft. 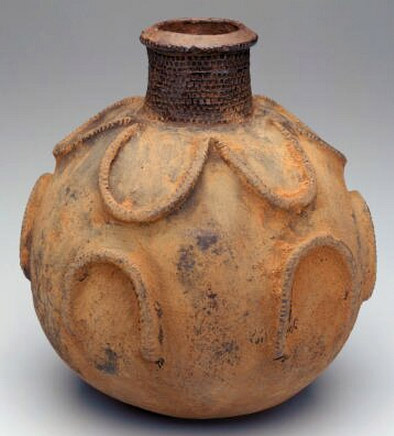 Her vessels were essentially functional but beautifully decorated and glazed, a process she learnt from Andrew Cardew who had set up a Pottery Training Centre in Abuja. 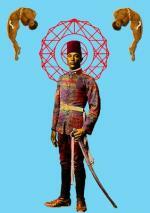 They are unusual for this period, reflecting a combination of learned skills and old mastery. This is an enterprise that continues to produce in extremely adverse times but manages to prevail and create pots of a unique character that are highly regarded. Actual processes are extremely primitive but somehow give the pots great character. The growth in value of both old pieces and contemporary vessels is a reality and it is this precise fact that will keep pottery alive in Africa.